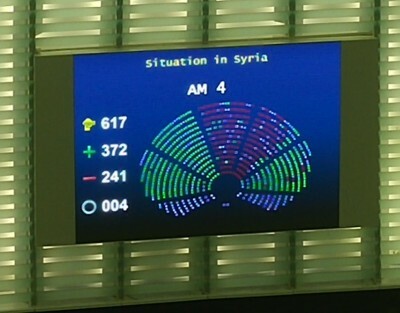 *Strasbourg/EU Parliament/Angelo Marcopolo/(UPDATED)- Just Hours after deadly Turkish Bombings on the surrounded Afrin city, EU Parliament adopted a last minute Amendment in a New Resolution on Syria, expressing Deep Concern for Turkey's military Intervention in Syria's Kurdish canton of Afrin and other similar areas, calling Ankara to Withdraw its Troops, and, in the meantime, for a CeaseFire, (as UNSC has already asked). 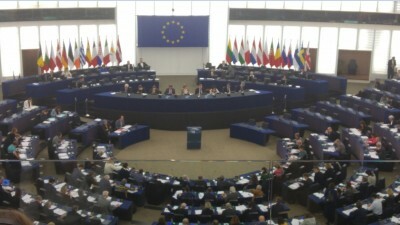 EU Elected Representatives (MEPs) also renew UN Security Council Resolutions' recent call for a "CeaseFire throughout Syria, therefore including Afrin", as a Senior UN Official had earlier made it clear in statements issued at New York (See: http://www.eurofora.net/newsflashes/news/unsyriaceasefireviolaytedbyturkey.html ). (given the real situation currently evolving on the ground : See http://www.eurofora.net/newsflashes/news/turkeyinsyriankurdishafrinnobordersbutinvasion.html). + Today's EU Resolution also "Underlines that the EU should Consider All available Options ..., Including ... the Establishment of NO-FLY ZONES under a UNSC Resolution", (Article 13). in Front of a Foreign Military Invasion by Turkey, Bombarding a Syrian Kurdish City which Hosts 700.000 People, including Refugees from Other Areas, is Notoriously Peaceful and the Only one to have Never Attacked anyone else, but, on the Contrary, has even Send and Sacrificed several among its Citizens in order to Help the US-led International Coalition to Fight Against the Deady Islamist Terrorists of ISIL's Coward Killers Targetting innocent Civilian People even throughout Europe, including Russia, in the USA and elsewhere in the World. Already, inter alia, it's also former French President, Francois Hollande, just reportedly Suggested to, indeed, Establish such a "No-Fly Zone" in order to Protect Afrin's current 700.000 Inhabitants. - The 28 Member States strong EU Parliament, for the 1st Time so Clearly, "Express(ed) Deep Concern at Turkey's Intervention", after its Plenary Adopted a Last-Minute Amendment, Today, Thursday 15 March 2018 in Strasbourg. => I.e., also Elsewhere, f.ex. at Manbij, where Ankara notoriously Pressures the USA to Drop the Syrian Kurds and Replace them by Turkey's Military and/or its "Proxies" Jihadists Armed Gangs, etc. + Something that the Turkish President Erdogan has repeatedly Threatened to Extend throughout All Syrian areas near the Borders, Traditionally inhabited mainly by Kurdish People, affecting a Huge Territory, (and very Close to the areas where Syrian Kurds notoriously Fought many Hard Battles in order Both to Protect their Populations (f.ex. at Kobane, etc), and, Further, to Help the US-led International Coalition to Win the Fight against ISIS' Deadly Islamist Terrorists cowardly Targetting Civilian People, (f.ex. by Liberating even Raqqa City, until Deir-el-Zor, etc). - In the MeanTime, EU Parliament's adopted New Resolution clealry "Calls for a CEASEFIRE throughout Syria, therefore INCLUDING AFRIN", i.e. Explicitly Applying UN Security Council's latest Resolution on Syria, also in the case of that Syrian Kurdish Canton, currently Facing Deadly Aggressions by the Turkish Military Invasion. + Moreover, EU Parliament added, Today, a crystal-clear "Call on the Turkish Government to WITHDRAW ITS TROOPS", (Article 6). ++ However, since the Word "Immediately", curiously was Not Included in the above-mentioned sentence, (Comp. Supra), Meanwhile, EU Parliament "Demands full Respect for Humanitarian Law, including the PROTECTION OF CIVILIANS", "Warn(ing) against further Deterioration of the ...Humanitarian Crisis", (in the Same Paragraph No 6, which refers to Syrian Kurdish Areas and particularly Afrin). Because Reports about Civilian People's Casualties are Multiplying, as Turkish-led Armed Aggressions against Afrin City (where even Water was Cut off after a Turkish Attack) are Growing. +++ MEPs confirmed that they are "Seriously Worried about the ... Situation in Afrin", which is currently "Escalating", (as Turkish Military has practiclly Surrounded the City and Started Deadly Attacks against it). ++++ Current Risks, at Afrin, "include", f.ex., even a "possible Confrontation between Turkish Forces and Assad" (Syrian Government's Army), "or Russian Forces" too, while also "Tensions with the U.S." are "Rising", as far as Turkey's Claims to Extend even Further (towards Manbij, etc) its Military Intervention against precious and efficient Syrian Kurdish Allies of the US-led International Coalition against ISIS' Terrorists, (Comp. 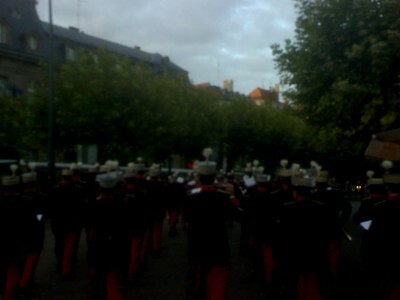 Supra). +++++ In fact, "the Opening of New Fronts in Syria is Not in the Interest of Turkey's Security", critically Warns Ankara the EU Parliament, "Echo(ing) the position of the (EU Commission's) Vice-President and (EU Council's) High Representative" for External Action, Frederica Mogherini. "Call(ing) on the Turkish Government to ... Play a Constructive Role in the Syrian Conflict", EU Parliament points out that this "is also in Turkey's National Interests". ++++++ But, at the Same Time, MEPs' Adopted Resolution also observes "Underlines" that "the Global Coalition against Daesh (ISIS) and Syrian Partner Forces (i.e. mainly the Kurdish-led "Syrian Democratic Forces") have made Significant Progress in the Campaign to Defeat Daessh (ISIS) in Syria", recently (mainly on 2017+). +++++++ Last, but not least, concerning also Turkey's vociforous Claims around Enforced Population Replacements in the Historically Kurdish areas of Syria, EU Parliament "Demands Respect by all for the Right of Ethnic and Religious Groups and Minorities in Syria, includig Christias and Anyone Displaced, to Continue to live in, or Return to their Historical and Traditional HomeLands in Dignity, Equality and Safety, ...withOut being subjected to any kind of Coercion, Violence or Discrimination", (Article 11). In Parallel, as a matter of General Principle, (particularly Useful here, Given Turkey's notorious Record on Serious and Massive Human Rights Violations, Genocides, etc), EU Parliament Calls for "Accountability" for the "Atrocity Crimes committed in Syria", f.ex. via "Universal Jurisdiction in Tackling Impunity", by "making Grave Violations of International Law an Offence under National Laws", by "Creating a Syrian War Crimes Tribunal", and/or a "European Network" against "Persons Responsible for Genocide, Crimes against Humanity, and War Crimes", etc., (Article 10). + The Move comes shortly after French Minister for Europe and Foreign Affairs, Jean-Yves Le Drian, replying to 2 MP's relevant Questions at the National Assembly in Paris, Critically observed that there is "Absolutely Not any Excuse for Turkish troops' actions Deep Inside Afrin's zone", so far Away from the Turkish-Syrian "Borders". (I.e., almost Adopting "Eurofora"s recent Publication's Similar Observation : See ...). - The competent French Minister "Remind(ed) that the Fight Against ISIS is the 1st Reason for (France's) Engagement in the Middle East, and it's also a National Security Priority". >>> "But, we are Concerned by the Fact that Turkey's action may Result into Weakening the Pressure itshelf, on ISIS' remainining assets in Syria, while (reducing them) is is the main Stake". + Moreover, "UN Security Council Resolution 2401, ... concerns a Humanitarian Truce, which is Imposed to All, including Afrin", etc, he observed clearly. Interestingly, the French Foreign MInister's Criticism of Turkey's Military Invasion even at the Center of Syrian Kurdish Afrin canton's Heartland, was Published, inter alia, also by UN SC Permanent Member China's main Press Agency "Xinhua", etc. In Fact, EU Parliament, also, clearly and explicitly Applies UNO Security Council's Latest Resolution on Syria, in the concrete (and obviously More Opposed to International Law) case of Turkey's Foreign Military Invasion inside Syria's Kurdish canton of Afrin. But that looks Wrong : In Fact, Both UNO's Security Council, and EU Parliament, as well as EU in general, (i.e. its Member States added, as France, Germany, the UK, Italy, and Other 24 Countries), have Various and Many Ways to exert Strong Pressure on Turkey for the Implementation of relevant UN SC Resolutions, and/or International Law's basic Principles, (including in order to Respect the Sovereignity of Independent Countries, as also certain Key Arab Countries, well inserted in Larger Networks, have just Asked Ankara to do : See ...). This includes a Wide Spectrum of Various possible Measures, ranging from Legal to Financial or Economic "Sanctions", up to Defence AId to the Syrian Kurds, if not outright Military Interventions, f.ex. by International Coalitions (as those Against Deadly Islamist Terrorists' Aggressions, Piracy, etc), and/or by imposing a "Non-Fly Zone" due to Protect People from being Killed by Unilateral AirStrikes and Bombardments, even from Foreign AirPlanes Illegaly Intruding Deep Inside anOther, Independent Country, and Brutally Trampling its Sovereignity Underfoot (Comp. Supra), etc. - "Calling on Turkey to Withdraw its Troops (from Afrin) is a clear Support for Terrorist organizations" (sic ! ), Mr. Celik claimed, criticizing the "Decision the EU Parliament has taken" Today... (Comp. Supra). * The Fact that Syria's Kurdish canton of Afrin is located in anOther, Independent Country, (where Damascus' Government has repeatedly Protested Officially for such a Blatant Violation of its Sovereignity), and, Most Important, that Afrin was, until now, the More "Peaceful" and "Stable" area of Syria, (as even USA's Defence Secretary Mattis has reportedly observed), where more than "360.000 Displaced People" (including Arabs, Alevi, Yazidi, Christians, Armenians, etc) had sought and found Refuge there for Years, (as International Humanitarian NGOs, "Wikipedia", and many others had noted), as well as that "Afrin NEVER Attacked Turkey", as various MEPs and French MPs have stressed (f.ex. also at the French National Assembly, earlier this Week, in Paris, etc), obviously leave Mr. Celik and all the Turkish Government, indifferent, (Comp. Supra). - F.ex., Why Turkey's 1st Move inside Afrin's area, just AFTER, initially Extending its Military Occupation along a Thick Land Strip accross All the BORDERS, between Turkey and Syria, (as Ankara's Government had Claimed - to NATO, France, US, etc- that it would be its Unique Aim), Suddenly pushed its Army to penetrate even Far Away from the Turkish Borders, Inside Afrin, Until it Reached Alepo's area, (contolled by Damascus Government's Syrian Army), in a way which Cut Off IDLIB's adjacent Enclave and Separated it from Afrin ? (See MAP). >>> IDLIB, (located also Near the Turkish Borders, close to the Mediterranean Sea), was, notoriously the Area from where almost all Armed Islamist Terrorist Attacks hd Started, (particularly those of "Al Queda"-like Gangs, but also "ISIS"' Precursors, etc), already as Early as since 2011-2012, (i.e. since the inFamous "Benghazi" Massacre of USA's Diplomats and other Agents, which still remains Ill-Elucidated, but also since the First illegal "Arms-Trafficking" Ship Transports bringing Weapons to various Violent Islamist Extremist Gangs, had Started). Later-on, and "mainly Recently, Idlib has also become a kind of "SnakePit" full of Failed former Islamist Terrorists and/or Other Violent Jihadists", who have Progressively Gathered there, (even Transported by Buses hired by Damascus' Syrian Government, etc), Whenever any Part of Syrian Land was Liberated by ISIS, Al-Queda, and/or Other Islamist Terrorists, etc., according to Systematic last-minute Deals, (f.ex. from Aleppo to Raqqa, Eastern Ghouta and/or Other Damascus' Suburbs, as even just a few Days ago, etc). So that, Nowadays, Idlib reportedly Hosts the Biggest Over-Concentration of various Islamist Extremists and Terrorists from All-over Syria, including more than +30.000 Armed Jihadists ! => Therefore, After ISIS' Collapse from Raqqa to Deir-el-Zor, etc., it was, notoriously, around Idlib that the main Efforts of the Syrian Government and its Allies (Russia, Lebanese, Iranian Shiites, Popular Forces, etc) were Focused, as the Next Important Push for the Liberation of the Country from the Last Remains of Foreign and Local Armed Jihadists, ...just Before Turkey invaded Afrin. >>> A simple Look at a Map is enough in order to realize that, in Fact, IDLIB was located, in relation to Afrin (at its Northen side), and Damascus' + Allied Forces, (at its Southern side), at the Beginning of 2018, almost as ... RAQQA had been during ISIS' "Caliphat", just before being Liberated by Kurds and the US-led International Coalition in 2017 ! Turkey apparently seeked to Save the Real Terrorists, but Destroy one of the (Comparatively) Most Innocent and Peacefull Areas of nowadays Syria, in Total Disregard for EU's and UNO's Resolutions, as well as Basic International Law and Human Rights Values. 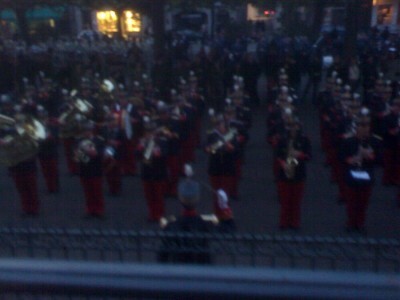 Popular : EuroCorps' chief, General Pittarch, and Strasbourg's Mayor Ries, speak to the People, downtown. 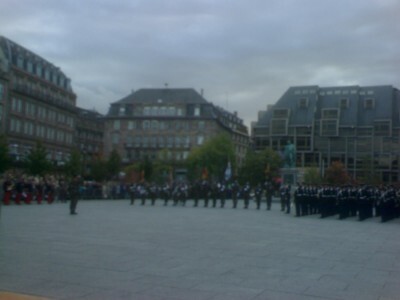 - "EUROCORPS" is a "unique tool" for "a Modern Europe", jointly managed by participating Nations without anyone deciding for others", to "support their efforts to promote Reconciliation, Peace and Human Rights' Values, which identify today's European ideal, with its Symbol-City : Strasbourg", stressed its Chief, Spanish General Pedro PITARCH, in a popular ceremony for the 15th Anniversary of the European Army Corps, at its Headquarters. - "Today, we are ready and able to fullfil any Peace-keeping Mission may be decided by the Political leadership, since we can deploy up to 60.000 soldiers and/or other agents, mainly in land, but in coordination with Sea and Air operarions", (even to build vital Infrastructures, demining, keep public order, facilitate Elections, etc), said to EuroFora EUROCORPS' Spokesman and Press Director, Colonel Raul SUEVOS. - "If there is an Agreement with the framework Nations, EUROCORPS could certainly contribute to guarantee manifold aspects of Peace setllements", told us recently General PITARCH. 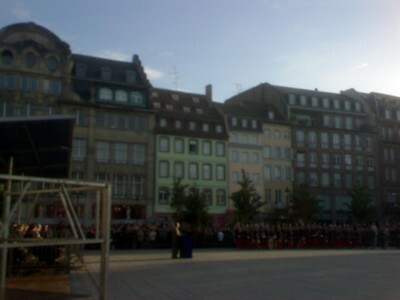 EuroCorps framework Nations' flags in Strasbourg's central square, on 2008, under the eyes of Napoleon's general KLEBER, famous for its Egypt campain, (reminded by German chancelor Merkel at Berlin's March 2007 EU Summit in a symbolic 1799 gift to the French President)..
EU Parliament asked, Summer 2008 in Strasbourg, " to place Eurocorps as a standing force under EU command", and "invited all (EU) Member States to contribute to it". 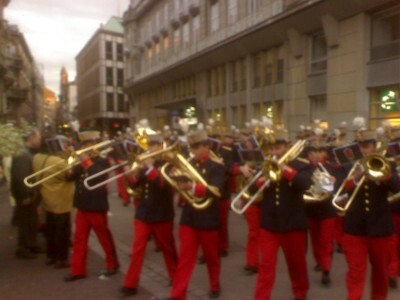 France, Germany, Belgium, Spain, and Luxembourg (participating with Funds, Telecoms and Officers), are EUROCORPS"' main "Framework Nations", due to be joined by Italy in 2009. Greece and Austria participate as "Contributing Nations", while Poland decided to upgrade its role. Turkey has liaison Officers for NATO relations, and even USA decided to send Officers to Strasbourg on 2009. Observers await with impatience also the outcome of NATO's April 2009 Summit in Strasbourg in order to have a better view of EuroCorps' future.